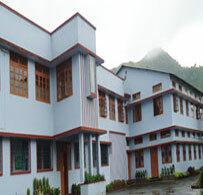 Golden Jubilee of Rev. Sr. Annie Porunnolil and Rev. Sr. Chantal Maria and Silverjubilee of our ten sisters were celebrated at Clarist Home, Imphal on 18th July 2015. Many witnessed the celebration. On first Jan.2015 we celebrated new Year with newness as our Archdiocese inagurated "The Year of Consecrated Life". All were led to the sanctury with lighted candles in the Cathedral Church. Sr. Ann Joseph our general councilor reached clarist Home on5th December 2014 for animating our Junior sisters ans jubilarians. Sr. Lilly Maria our Provincial and many of our sisters participated in the Eucharistic Procession at Ukhrul on the day of the feast of Christ the King. The Eucharistic Procession arranged by the Thankul community at Ukhrul was an eye witness for moore than 6000 people. 23rd Nov 2014 was a day of blessing for the people of that area. 3rd January 1966 was a memorable day for the Province of Pala on which eight sisters began their Journey towards an unknown landof Manipur for their missionary task. Janury 10, 1966 was a milestone in the history of FCC, Pala Province. It expanded the mission work beyond the boundaries of Kerala and made an entry in to the North East India .Eight of our pioneers landed at Sugnu, Manipur and began their task of direct evangelization of the tribal people of the area, teaching catechism, spread of literacy, promotion of health, proclaiming the good news to the poor, taking care of the orphans and aged etc. On 4th March 1991 this mission was declared as a Region and Rev. Sr. Aloshia was elected as the first Regional Superior. In 1989 when the Pala Province was divided in to two, Manipur mission was handed over to Bharananganam Province. On 15th January 1998, in the presence of Rev. 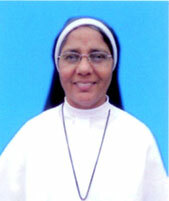 Sr. Therese Keechery, the then Provincial of Bharananganam, St. Clare Region was raised to a Province and Rev. Sr. Aloshia was elected as the first Provincial Superior. St. Clare Province Welcomes You!